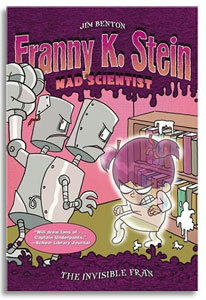 There's nothing better than being a mad scientist-at least according to Franny. So she's making it her mission to help her classmates discover their own inner mad scientists. All Franny needs for her latest experiment is a few volunteers, a half-completed two-headed robot, and an invisibility potion. Only this experiment just might prove to be Franny's most difficult. What do you do when your classmates don't know anything about mad science and there's a doubly dumb robot running amok to prove it?